--> INS Alleppey, one of the seven mine sweepers of the Indian Navy, will be decommissioned this year, leaving 14 ports - of which 12 are identified as key - to be covered by just six ships. --> Mine sweepers perform the critical job of keeping shipping lines and ports open by detecting and defusing mines planted by the enemy by sea or air. --> The Indian Navy had acquired 12 mine sweeper vessels from Russia between 1978 and 1988. Of these, four have been decommissioned. INS Alleppey, a Russian Natya Class Mine Sweeper, has been in use since 1980. --> No mine sweeper vessel has been acquired since 1988. 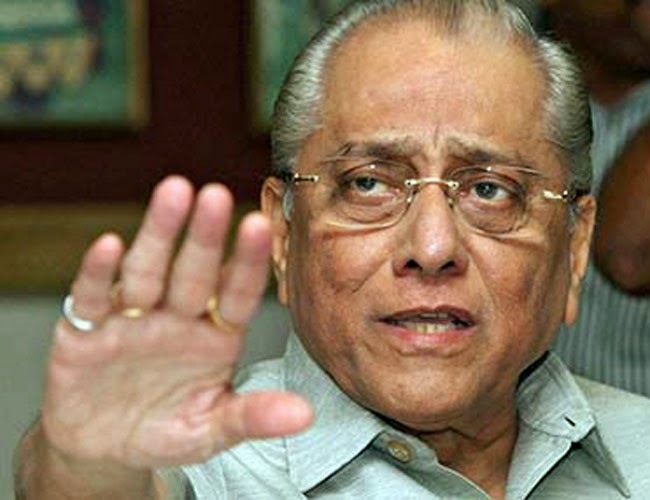 --> Jagmohan Dalmiya has been unanimously elected the president of the BCCI, more than a decade after he last held the position, at the board's AGM in Chennai on 2 March 2015. --> Anurag Thakur, who was joint-secretary before has become the new secretary after edging out Sanjay Patel. --> Amitabha Chodhary was elected the Joint Secretary beating Goa's Chetan Desai, while Haryana's Anirudh Choudhary won the treasurer's position by defeating Rajiv Shukla. --> Ola (formerly Olacabs), a mobile app for personal transportation, on 2 March 2015 said it has acquired TaxiForSure, India's second largest cab aggregator, for $200 mn in a cash and equity deal. --> With this deal, Ola, which has over 1 lakh vehicles on its platform for personal transportation, has further deepened its footprint with TaxiForSure's operator led model. --> Ola and TaxiForSure will continue to operate as separate entities. --> Noted economist, Arvind Virmani, who served as the country’s Chief Economic Advisor and Principal Advisor in the Planning Commission, will now mentor Ficci’s public policy & economic work. --> World’s first electric satellites were successfully lifted off by a Space Exploration (SpaceX) Technologies rocket from Cape Canaveral Air Force Station, United States. --> The rocket was carrying two all-electric commercial satellites built by Boeing. --> The satellites are owned by the French satellite provider Eutelsat and Asia Broadcast Satellite (ABS). --> Bill Gates has been declared the richest man in the world for the 16th time by Forbes magazine's annual ranking of global billionaires. --> The Microsoft founder once again beat Mexican businessman Carlos Slim to the top spot. --> John Terry set Chelsea up for a 2-0 victory over Tottenham Hotspur in League Cup final held on 1 March 2015 as Jose Mourinho claimed the first trophy of his second stint as manager. --> It was Mourinho's first title since he returned to Stamford Bridge in 2013 and his third League Cup after previous successes with the club in 2005 and 2007. --> Lok Sabha on 2 March 2015 passed the Citizenship (Amendment) Bill, 2015 by voice vote. --> The Bill seeks to amend the Citizenship Act, 1955 which regulates the acquisition and determination of citizenship and details registration of Overseas Citizens of India and their rights. --> The outgoing Namibian President Hifikepunye Pohamba has won the world's most valuable individual award, the Mo Ibrahim prize for African leadership. --> The $5m (£3.2m) award is given each year to an elected leader who governed well, raised living standards and then left office. --> But the previous award was the fourth in five years to have gone unclaimed. --> Rafael Nadal won a record-equalling 46th clay-court title and his first on any surface since last June by brushing aside Juan Mónaco in the final of the Argentina Open. --> Three-time Grand Slam winner Sania Mirza of India has decided to team up with former World No. 1 Martina Hingis of Switzerland in the US-leg of the WTA Tour circuit after parting ways with women's doubles partner Hsieh Su-wei of Chinese Taipei with whom she featured in the doubles final of the just-concluded Doha Open championship.